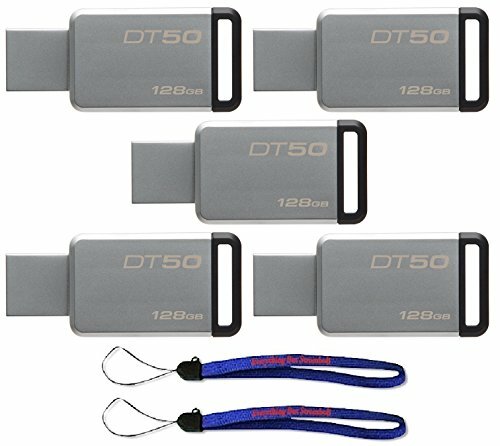 Data traveler 50 is a lightweight USB Flash drive. The drive's compact, cap less design features a metal casing that complements any compatible device and colorful accents that range by drive capacity. Fast USB 3.1 Gen 1 (USB 3.0) performance ensures data transfer of music, video and more is quick and easy. Backward compatible with existing USB 2.0 ports for convenience. DT 50 is backed by a five-year warranty, free technical support and legendary Kingston reliability. Comes with 2 Everything But Stromboli Lanyard.